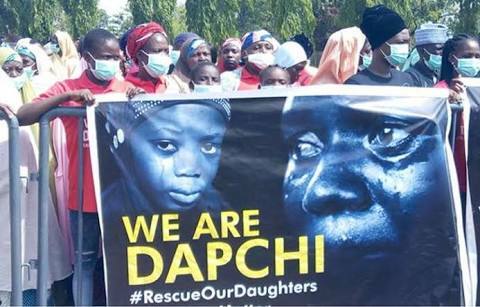 According to a live report monitored by OluFamous.Com on Ray Power on Wednesday morning, all but one of the abducted Dapchi Schoolgirls have been released by the dreaded Boko Haram terrorists. The father of the only girl who wasn't released, Mr. Sharibu Nattah said he was told that his daughter was not released by Boko Haram because she refused to renounce Christianity and become a Muslim. SR also added that five of the girls are feared dead.